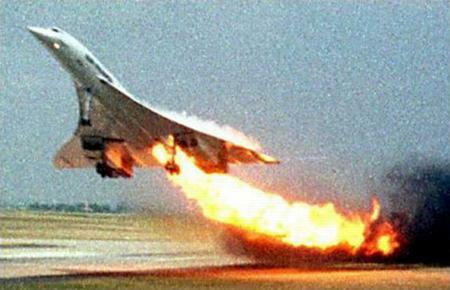 On Tuesday, 25th July 2000 the very first fatal accident involving Concorde occured with Concorde 203, F-BTSC out bound from Paris to New York. It crashed 60 seconds after take off after suffering tyre blow out that caused a fuel tank to rupture. This started a sequence of events that caused a fire which eventually lead to 2 engines failing and the aircraft crashing. All 109 people (100 passengers and 9 crew) on board were killed. 4 people in a local hotel on the ground were also killed. This section lets you have all the information available on the accident. The Latest news sub-section updates you on with the very latest information on the crash and is causes as the investigation concludes. A short summary of the cuase and CVR transcripts are also available. The Report section contains links to download all the various reports that have been issued by the BEA, including the Final Accident Report that was published in Jan 2002. The Documents are available in both PDF and HTML format in most cases. Concorde has been involved in many small accidents over the 25 years it has been in service and they are detailed in the Past Accidents Chapter. An Air France Concorde, F-BVFC, which was marooned in New York flew home in September 2000. This flight is detailed in the F-BFVC Flight section. The information on Concorde's return to service in November 2001 is detailed in the Return To Flight section.